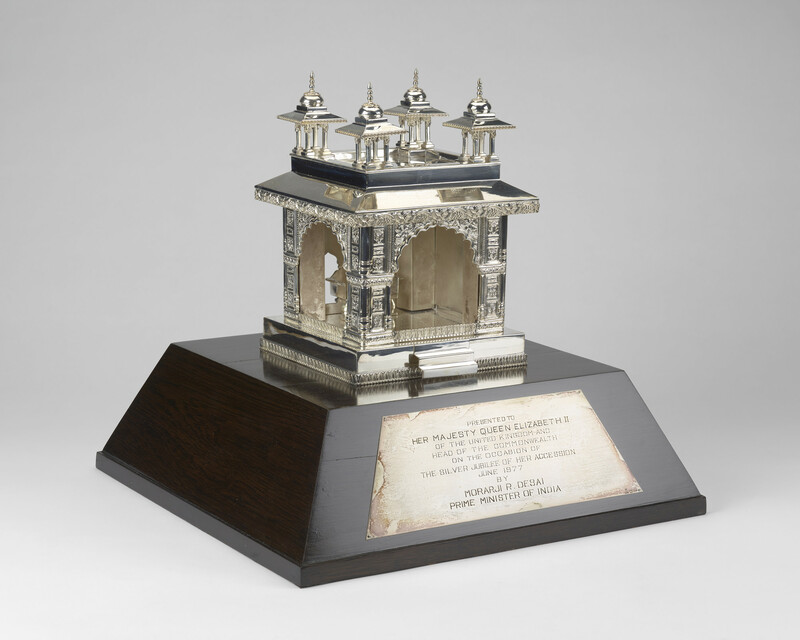 Silver model of one of the square pavilions, Diwan-i-Khas (Hall of Private Audience), part of the Red Fort, Delhi; with four turrets at the corners and arcaded sides. In a dark wood and perspex display case, in a dark wood box lined with blue velvet. The Red Fort was the residence of the Mughal emperors until 1851.